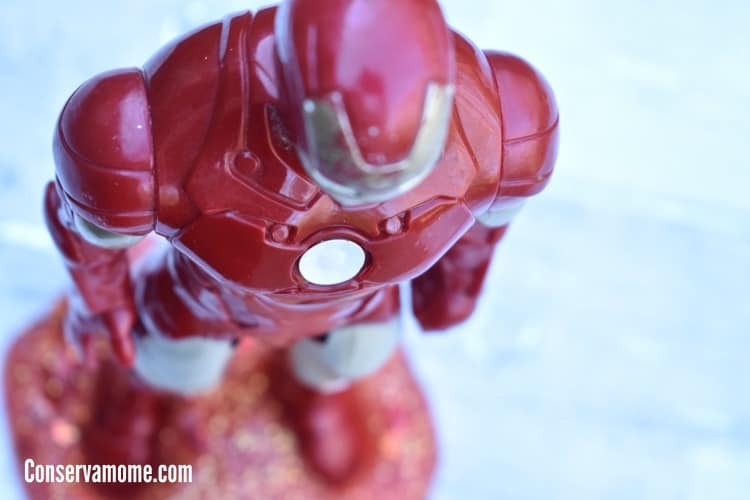 This fun Iron Man Slime recipe will be the perfect sensory play for our little avenger. 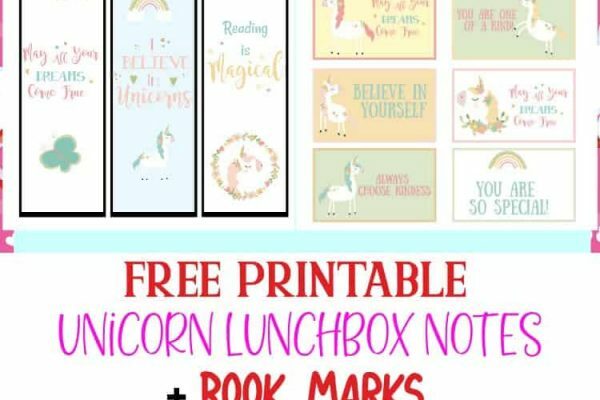 Check out how easy it is to make! My kids are huge Avengers fans. My boys and 3rd daughter love to play with their Avengers figures. They also absolutely love to play with slime. So when we make slime we like to make themed slime, like my Pot of Gold Slime. 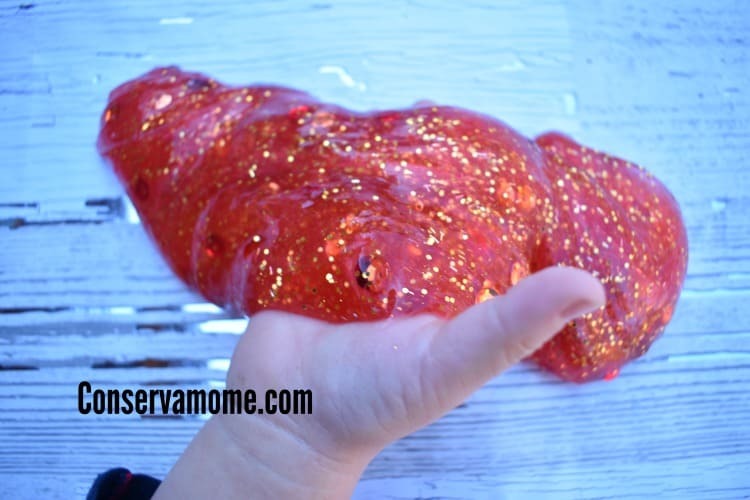 In honor of the Avengers Infinity War movie coming to theaters in April my little ones and I came up with a fun Iron Man Themed slime because well, Iron Man is awesome. 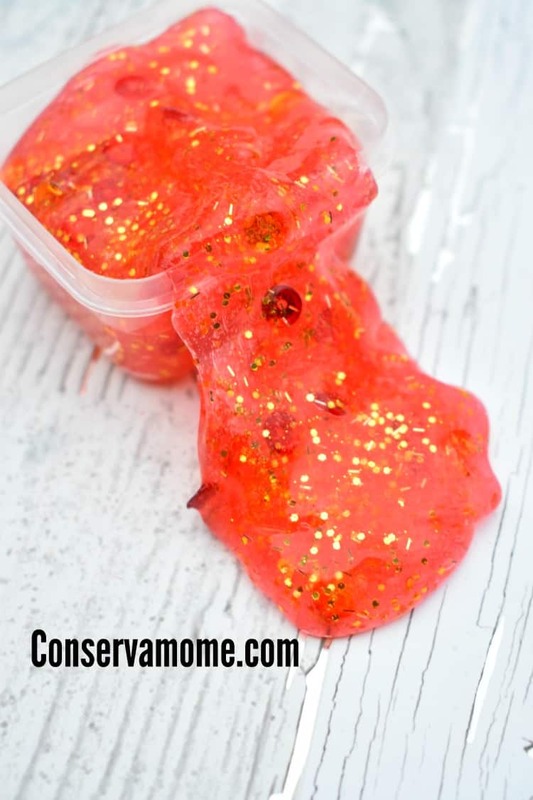 So check out this fun slime that will pack a fun sensory punch fun for your little one. 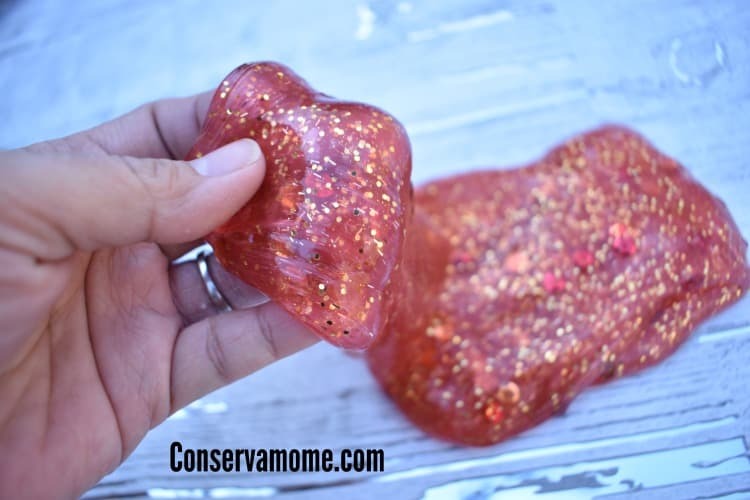 We follow the basic borax slime recipe. 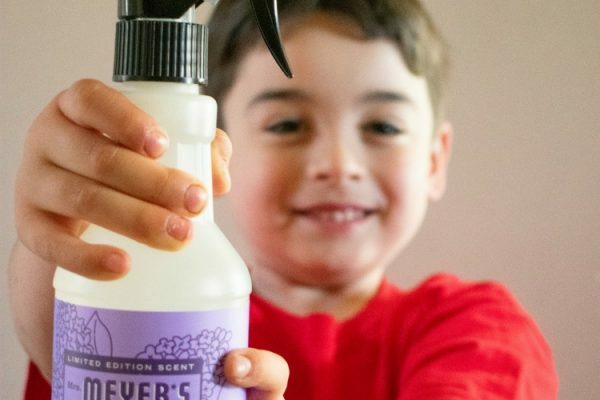 We have tried the contact lense solution one but my kids and I still enjoy making the borax one the most so that’s the recipe you’ll find below. If your child is sensitive or you’ll be using this on a child who will stick it in his/her mouth you can substitute the borax with 1 table spoon of Baking Soda and about 2-3 table spoons of contact lense solution (add them until it gathers the consistency of slime). 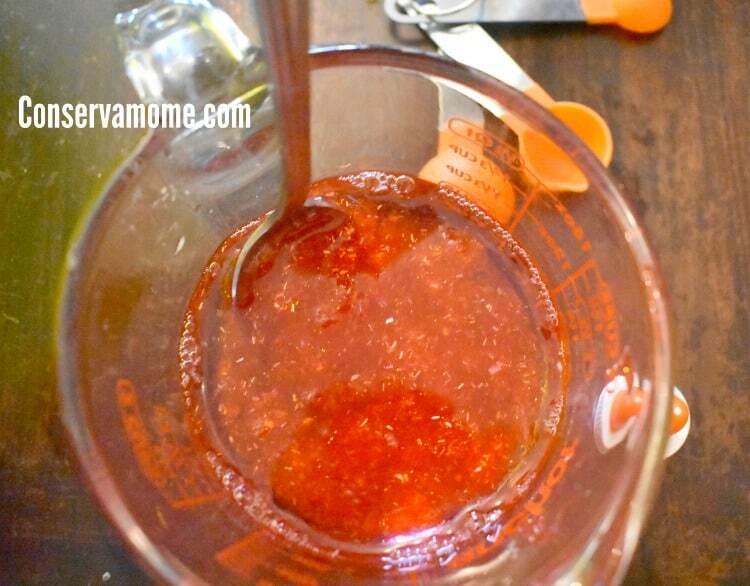 Mix 1/2 tsp of borax powder into 1/2 c up of warm water. Set aside. 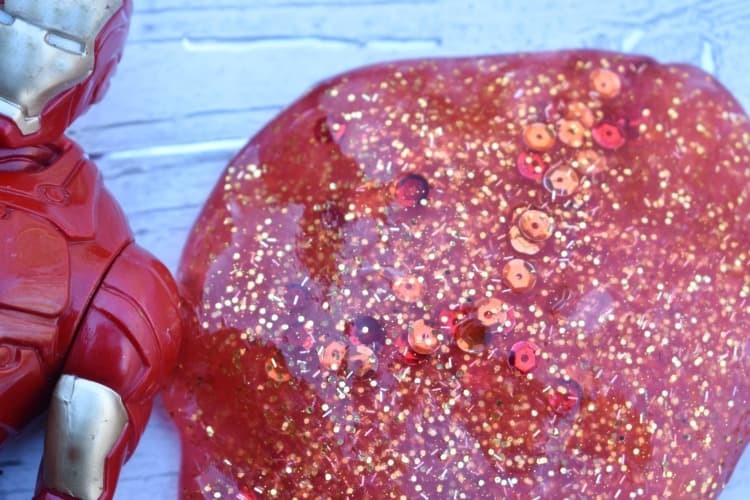 Mix bottle of glue with the other 1/2 cup of warm water.Mix in a few drops of red food paint if you like then Add sequins and glitter and mix well. Slowly add the water and mix. 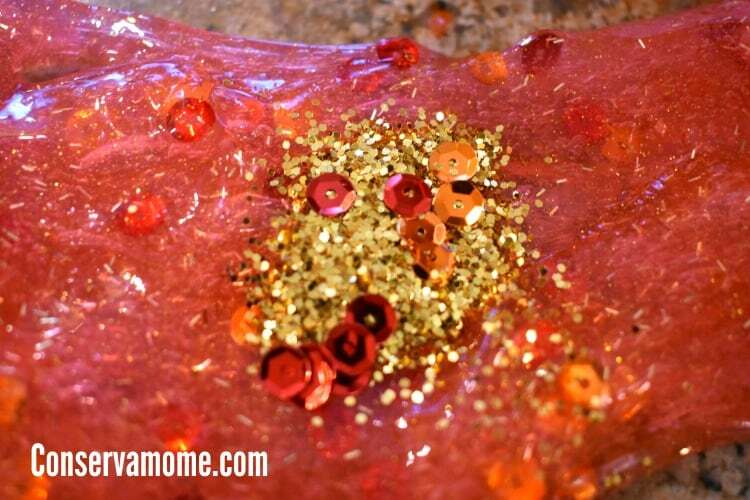 Once you have the mixture turn to slime you can add some more glitter and sequins to “taste”. Mix well and you’ve got yourself some fun slime! Store in an airtight container and your little one will have hours of fun! 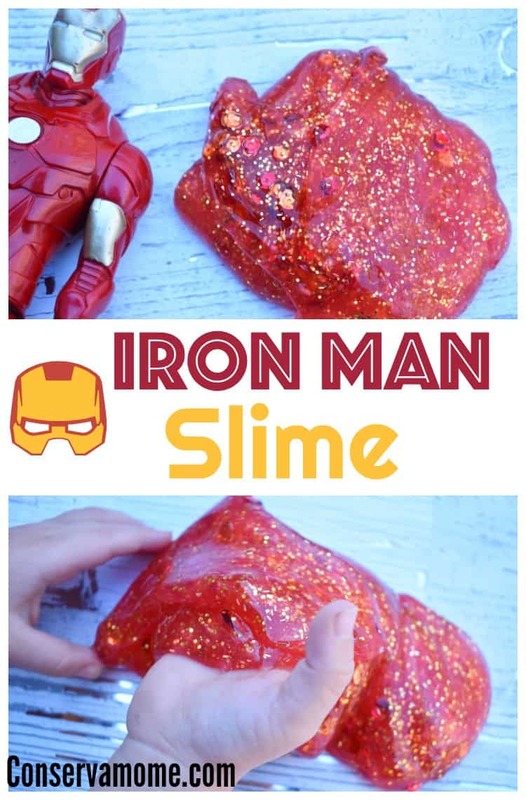 This slime is so much fun and it gathers the fun Iron Man theme! This is one of my favorite squishy slime recipes! And my kids love it too! Check it out for yourself and see how much fun this slime recipe can be! 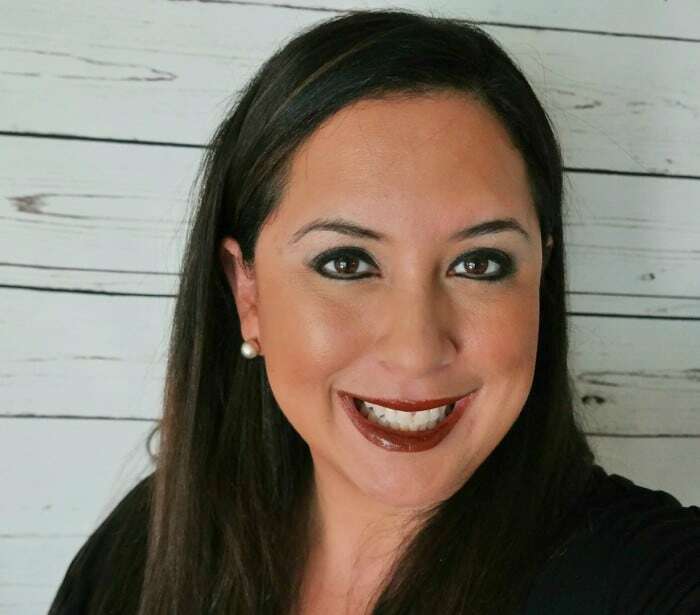 Looking for other fun Sensory recipes? 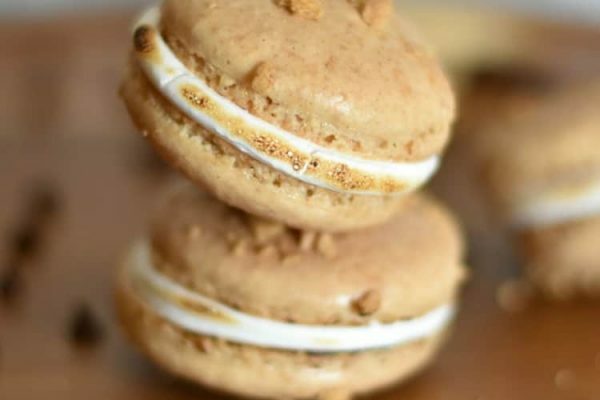 Check out this edible peanut butter play dough!